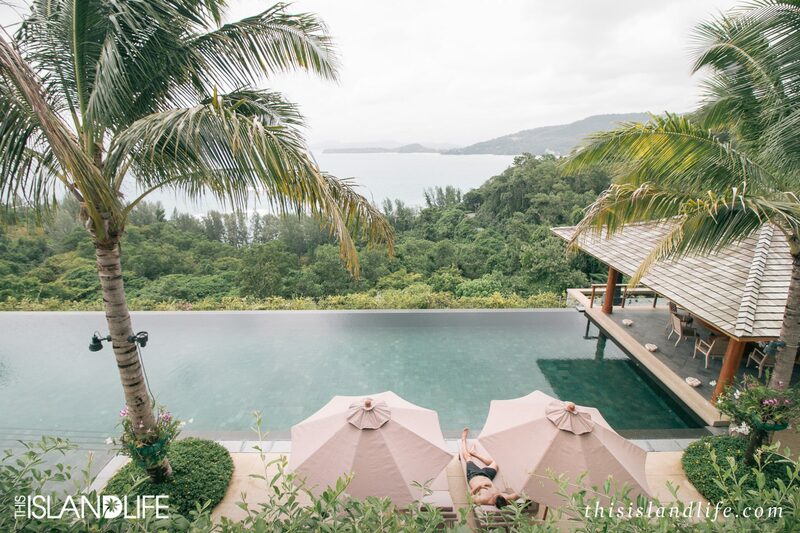 The palm-fringed island of Phuket needs no introduction. Its rich culture, beautiful beaches and close proximity to spectacular limestone islands like Phi Phi and Phang Nga Bay make Phuket one of Thailand’s most popular destinations. Having visited Thailand eight times before for my summer chasing blog, I thought I’d seen everything there was to see. But after laying eyes on the incredible villas on offer, I knew I was about to experience something really special. I was also taking my boyfriend as my plus one, so I was really excited to share this luxurious adventure with him. We were flying into Phuket in rainy season, which is always a bit of a risk for a travel blogger. Nailing shots in perfect weather can be challenging enough – throw in bad weather and it’s a travel blogger disaster. It turns out that the travel gods weren’t on our side, during our week in Phuket we experienced some of the wildest weather I’ve ever seen in Asia. The rain was constant, the skies were grey and the wind was so strong, most of the beaches were closed for swimming. But the funny thing was, it wasn’t a disaster. 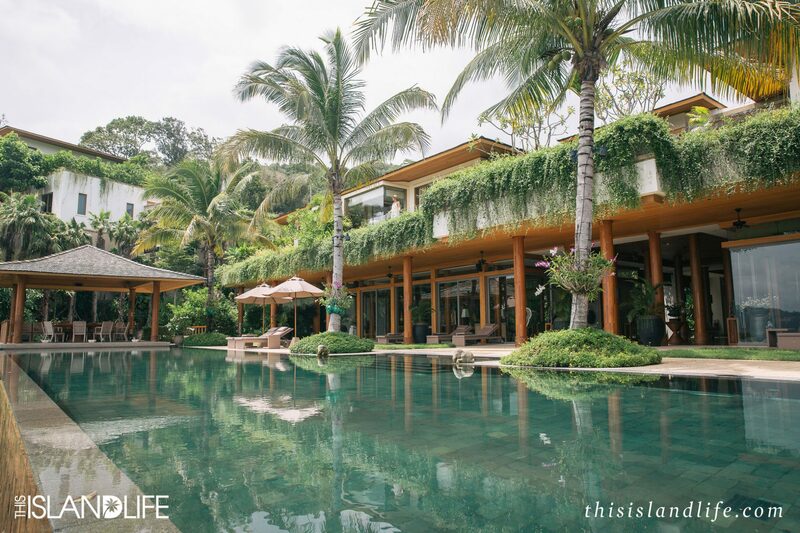 Because when you’re staying in incredible villas – none of that matters anymore. 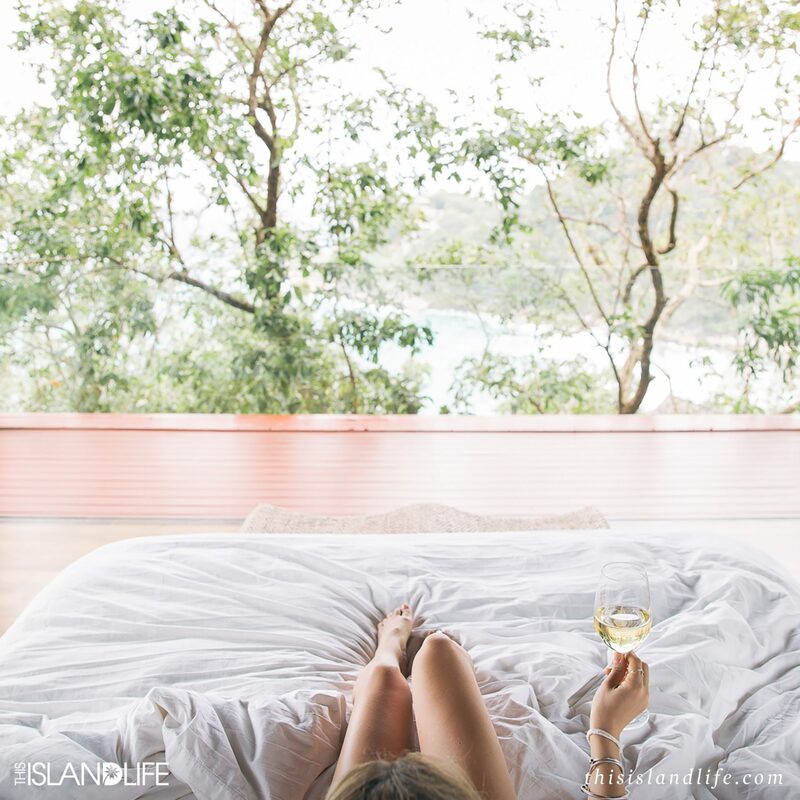 With the wild weather whipping the island, we made the most of villa life and documented it every luxurious step of the way. With so many tourists visiting the island, it can be hard to find your own piece of paradise away from the crowds. 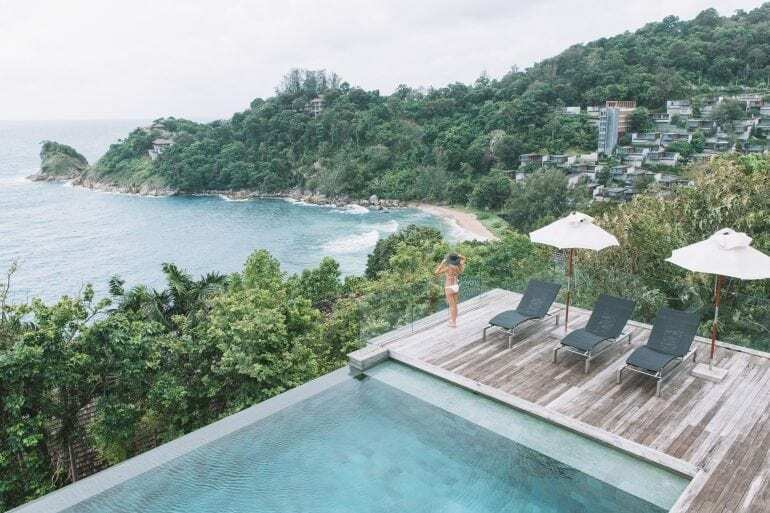 But with incredible holiday villas built into the cliffs on some of Phuket’s most exclusive coastline, you can stay close to the action and still feel a million miles away. Forget rushing down to the hotel pool early to get a sun lounge or waiting in line for your omelette at the breakfast buffet. With the entire villa and its services at your disposal, you can eat your breakfast from your inflatable lounge in the pool if you like. 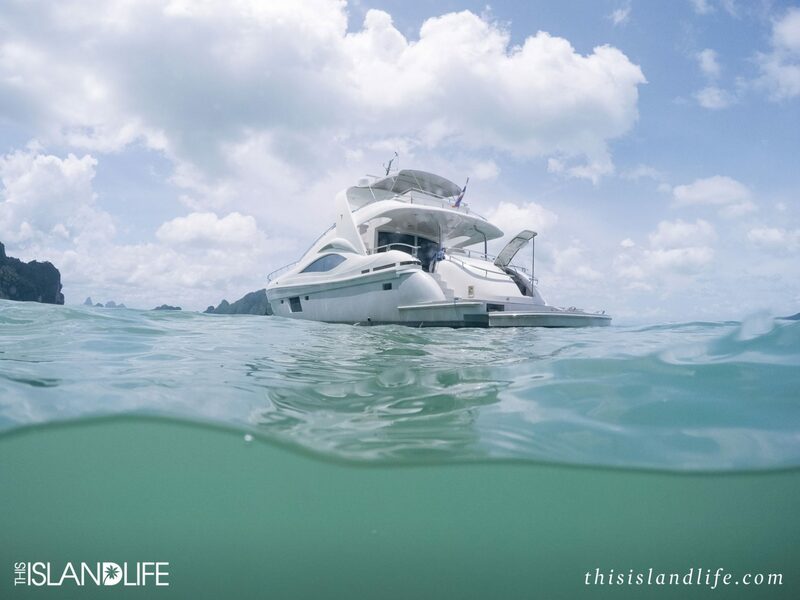 We were lucky enough to experience two of Villa Getaways’ best villas in Phuket, as well as an incredible super yacht that we took to Phang Nga Bay. 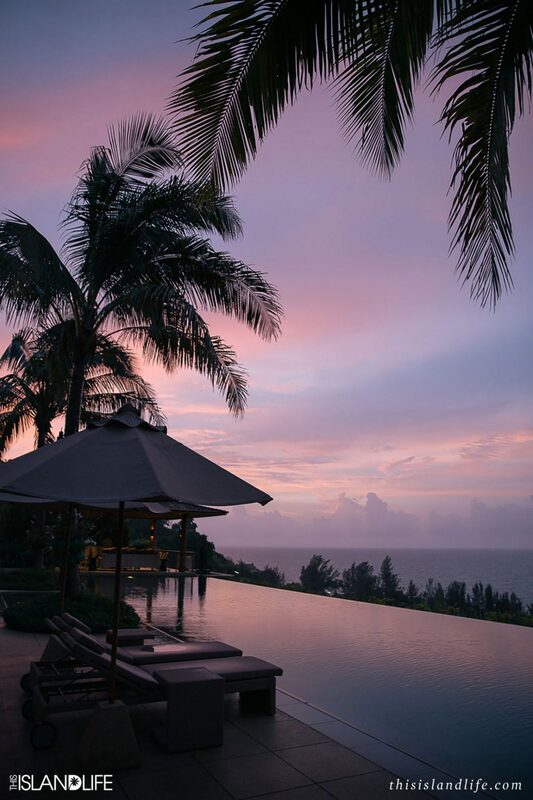 Perched high on the cliffs overlooking the dramatic Andaman Sea, is Villa 4186, also known as ‘Baan Santisuk’. There are five bedrooms (all with ensuites), three outdoor showers, an epic infinity pool, an outdoor sala and a gym so incredible that we lost our driver to it! We were waiting out the front of the villa to be driven to dinner and we couldn’t find our driver anywhere – his van was there but he was nowhere to be seen. We ended up finding him in the gym, shirt off, mid-workout. One of the best things about this villa is the master suite. Set away from the main lounge and dining areas, the suite is nestled amongst the trees with views of Yae Beach. 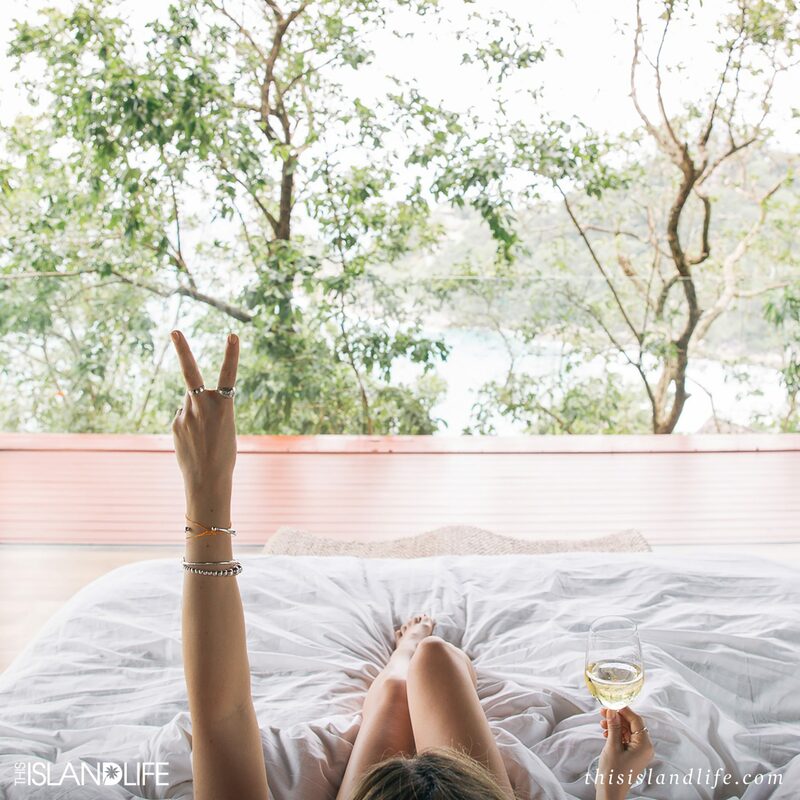 The suite has wrap around glass doors that you can open up completely to give the feel that you are truly sleeping in your very own luxurious treehouse. The stormy weather meant that for the first time in a really, really long time, I wasn’t getting up before dawn to shoot the sunrise. We made the most of the rainy days in bed with some well overdue sleep-ins to the sound of the rain falling through the trees. One of the most special nights we had on the island was a private dinner at the villa under the outdoor sala. The rain managed to hold for a few hours while we were treated to an amazing traditional Thai feast. As much as I love eating out and discovering new restaurants, this private dining experience was incredibly special and a real highlight of our trip and our stay at Villa 4186. Never before have I experienced a place as jaw-droppingly spectacular as Villa 4573. This private villa was legit the size of a small resort. 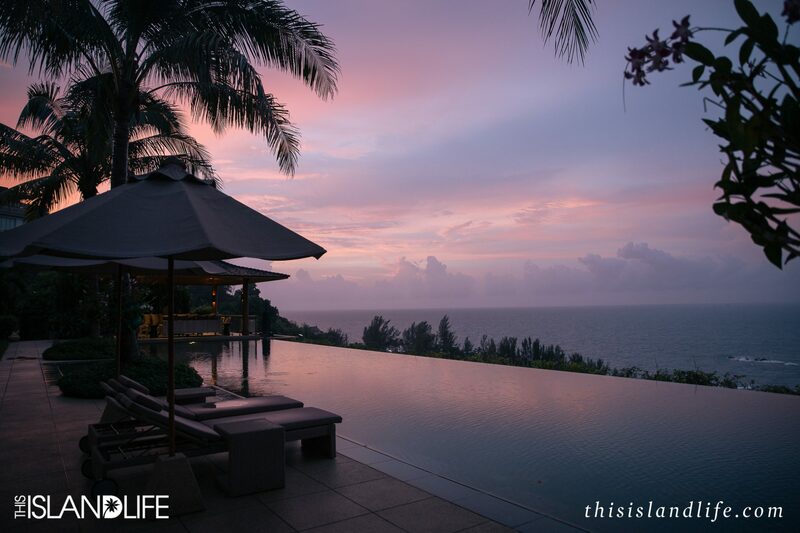 With seven bedrooms, six bathrooms and an epic infinity pool that looked out over the Andaman Sea, it was the stuff of tropical dreams. 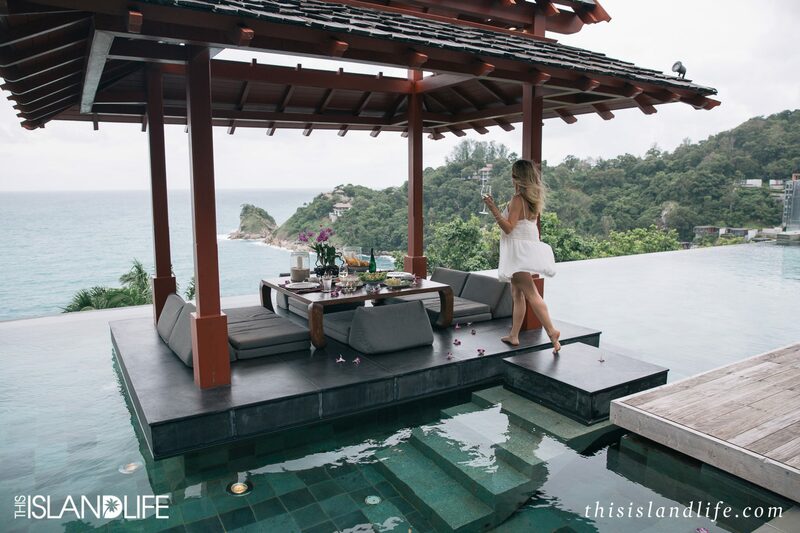 Located high on the cliffs of the west coast of Phuket, the villa was so huge that Jason and I kept losing each other. 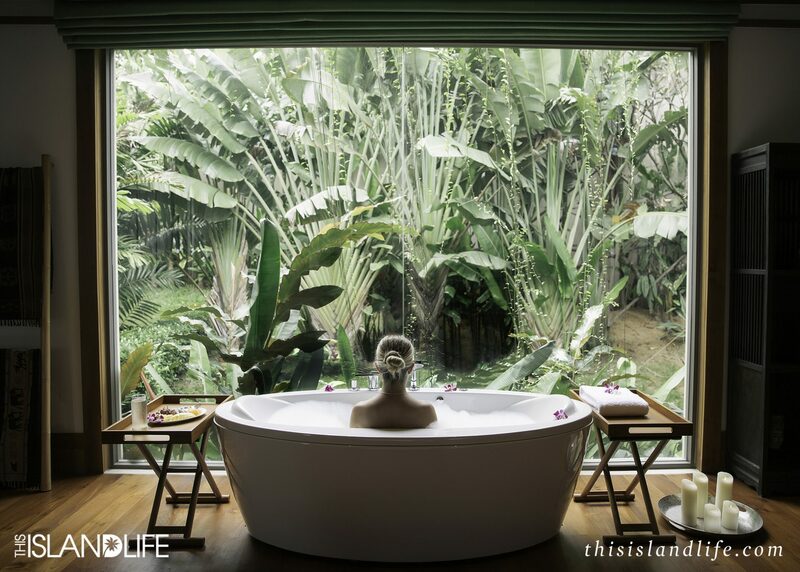 We had chosen an upstairs bedroom with ocean views to sleep in, but I was obsessed with the freestanding jungle bath in the master suite on the bottom floor, so I had my things between two suites and two levels. Not a bad problem to have. While we didn’t get to experience this villa in the sunshine, we did get to see the only sunset from our trip. It had started raining so I packed my cameras up and we walked out to the pool to watch the rain hit the water. All of a sudden the rain started to clear and I could see a faint hint of pink start to appear in the sky. It looked like a sunset was happening, but there was still so much cloud in the sky it was hard to tell if we were actually going to get one. I ran inside to get the cameras and by the time I had come back out, the sky looked like a Rainbow Paddle Pop brought to life with pastel pinks and purples lighting up the clouds. We were determined to give the epic infinity pool a good go, despite the stormy weather. 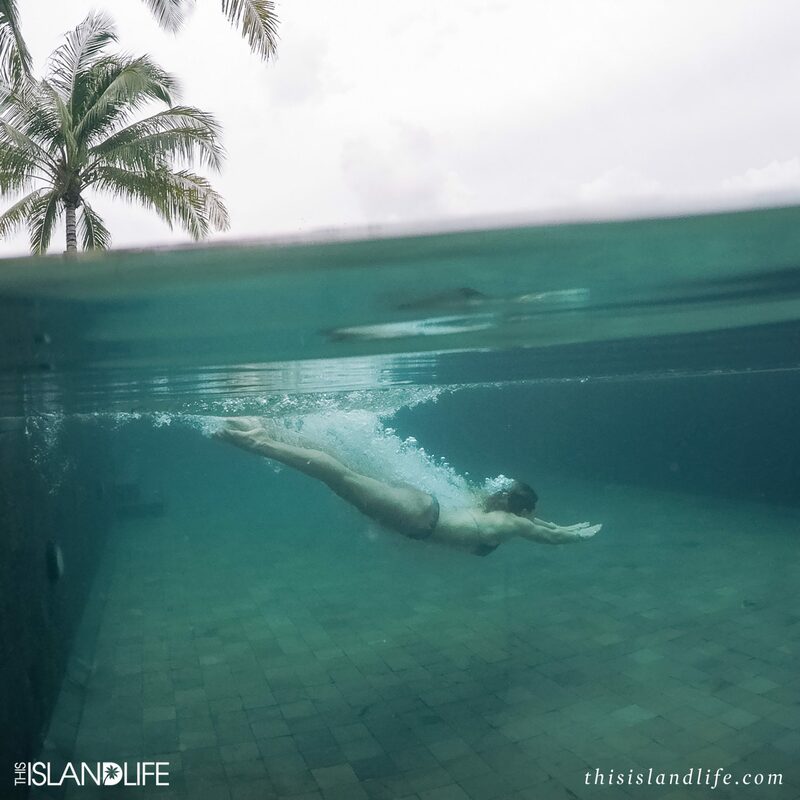 I actually really love swimming in the rain, and there’s no better way to do it than in the infinity pool of your dreams. This is one villa you will want to call your home, rain, hail or shine. 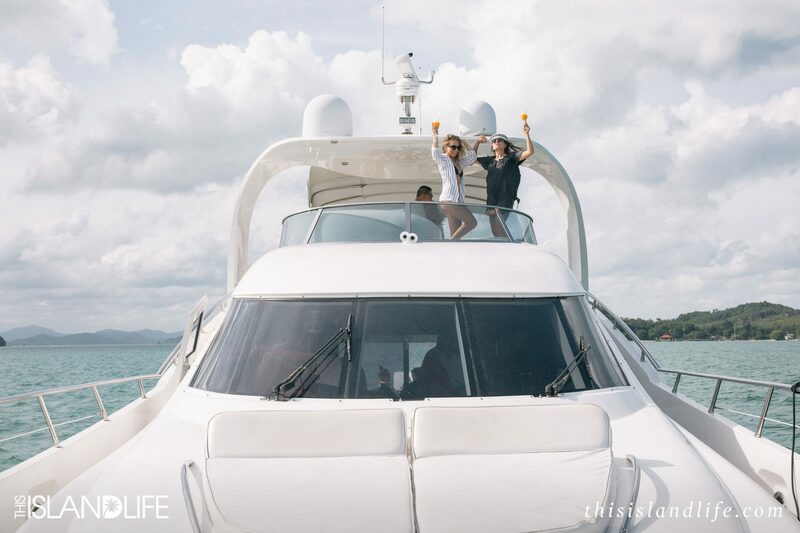 Technically not a villa, this yacht is available to rent through Villa Getaways. The 76-foot yacht features four cabins that accommodate eight guests for overnight cruises, or 20 guests for a day cruise. 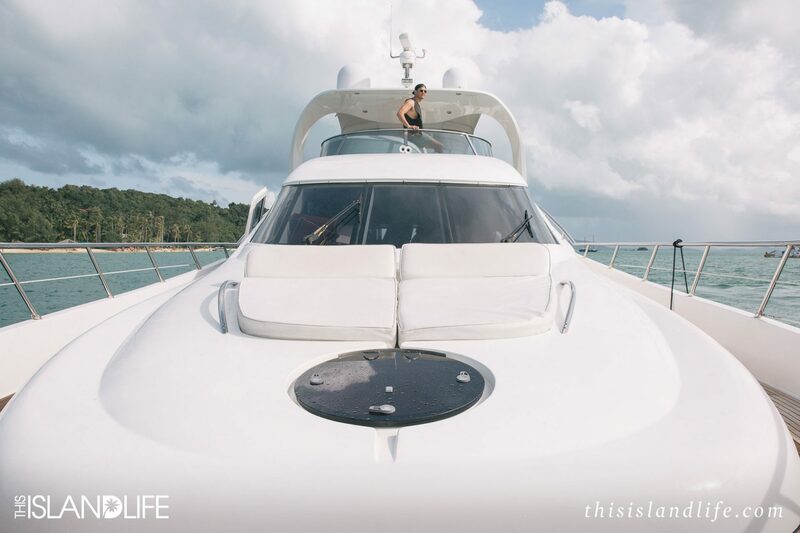 If that wasn’t exciting enough, it turns out that this is the exact same yacht that Brangalina (R.I.P) took out last Christmas Day while they were in Thailand. 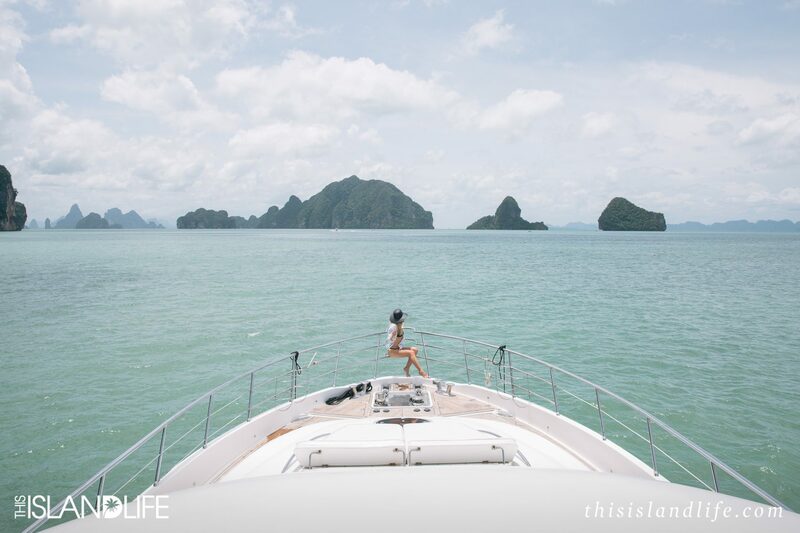 We had one good weather day during our stay on Phuket, which luckily coincided with our yacht experience. With an epic villa waiting back on the mainland for us, we chose the day cruise option. 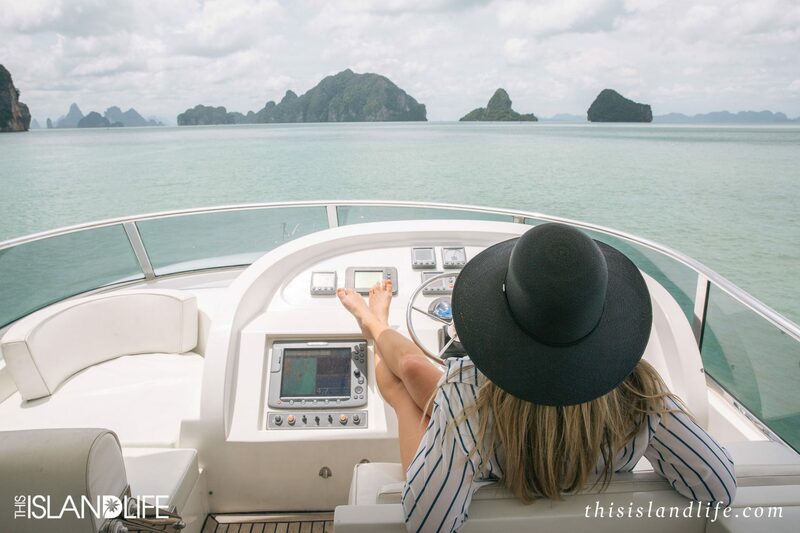 So on a rare sunny morning in Phuket, we joined the crew from Andaman Cruises and headed out to the limestone islands of Phang Nga Bay. 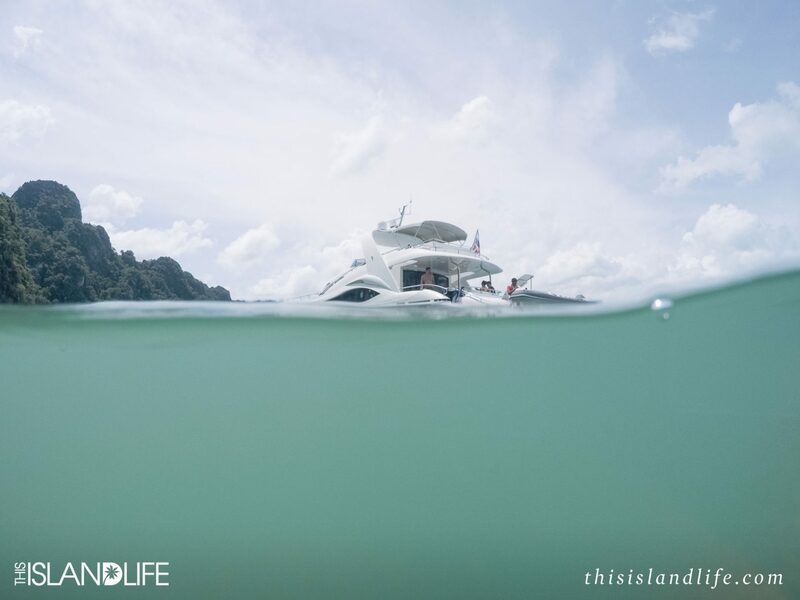 The water wasn’t clear enough that day to snorkel, so we made the most of the little inflatable boat that the crew attached to a small speedboat to whip us around in, turning the Andaman Sea into our very own water theme park. The best thing about working up an appetite at on a yacht is that the ocean is your smorgasbord. When it was time for lunch, our crew headed out in their little speedboat to buy fresh prawns from a nearby fishing boat. They then cooked them up on the grill and served them to us with fresh lime and chilli. 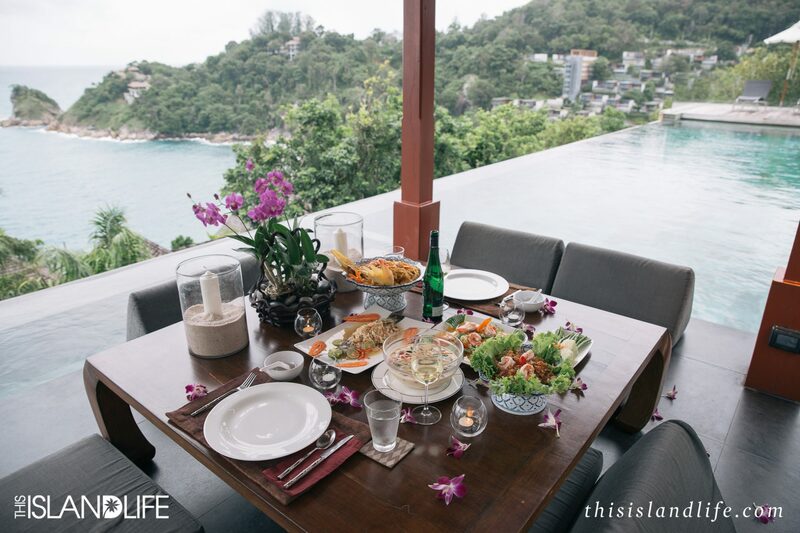 As simple as it was, it was one of the best meals we had during our stay in Phuket. 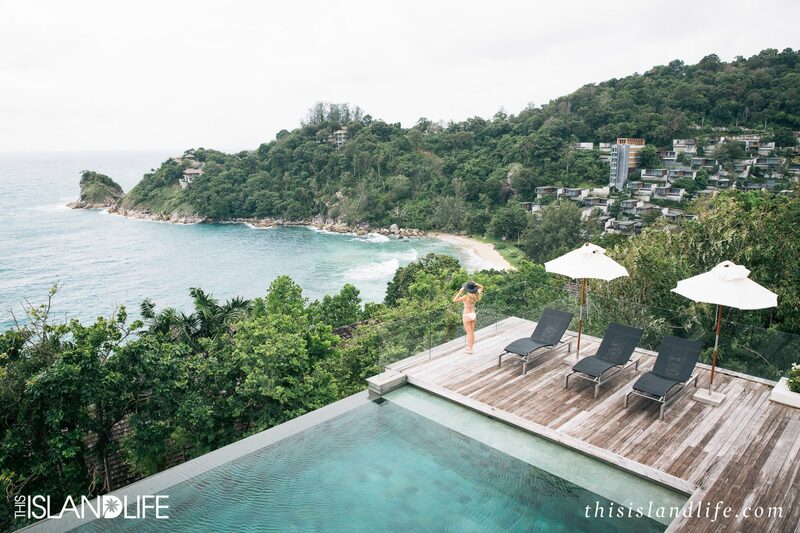 Surrounded by the emerald waters of the Andaman Sea, Phuket is an island with the best of both worlds, where you can dive straight into the party scene, or take it easy on a private beach. 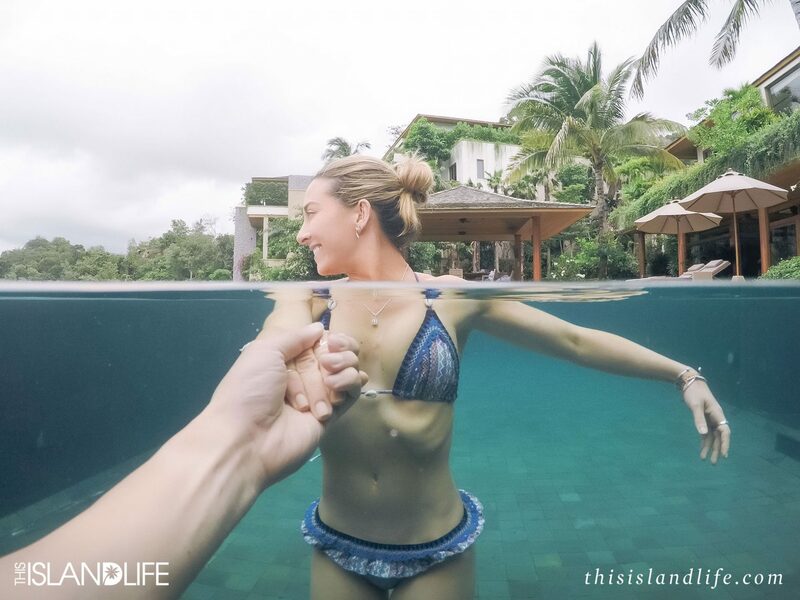 If the later is more your thing, and you can tear yourself away from the luxurious sanctuary of your villa, then you’re going to spend your time on the quieter side of the island. 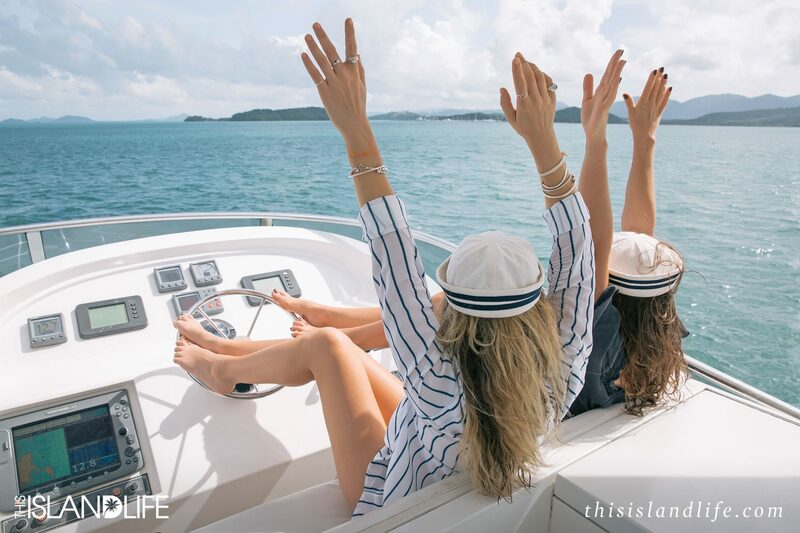 With private beaches, cool beach clubs and chilled out dining, it’s a million miles away from its party island reputation. For a different look at the island, visit Old Phuket Town to appreciate the unique Sino-Portuguese architecture along Dibuk, Thalang and Phang Nga roads. Make sure you stop in at Raya Restaurant – it’s so good Bangkok locals fly meals over! 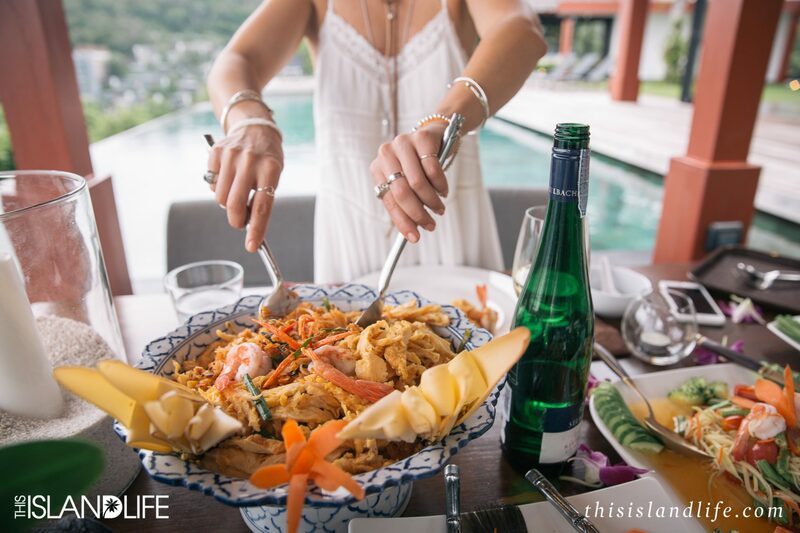 Home to some of the best seafood on the island, after you’ve worked up an appetite exploring the town, try their crab-packed yellow curry with noodles or the whole fried barramundi covered in crisp chips of fried turmeric and garlic. 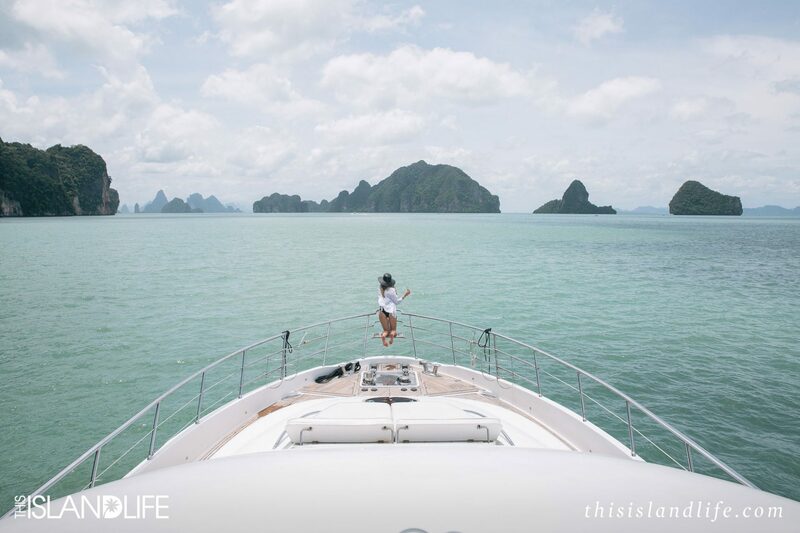 Just north of Phuket lies Phang Nga Bay – a national park where hundreds of limestone cliffs rise out of the ocean. There are caves to kayak through and sea gypsy villages to visit, but the main drawcard is ‘James Bond Island’ (Khao Phingkan) – an island that was famously featured in the James Bond movie The Man with the Golden Gun. 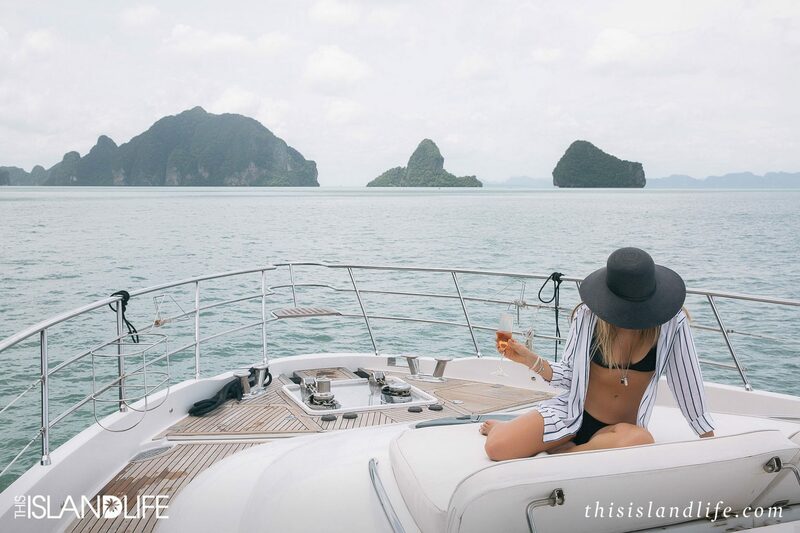 Take a day trip out to Phang Nga Bay for some serious island time where you can spend the day diving off your yacht or getting active on a kayaking tour where you can make a pit stop for fresh coconut refreshments. 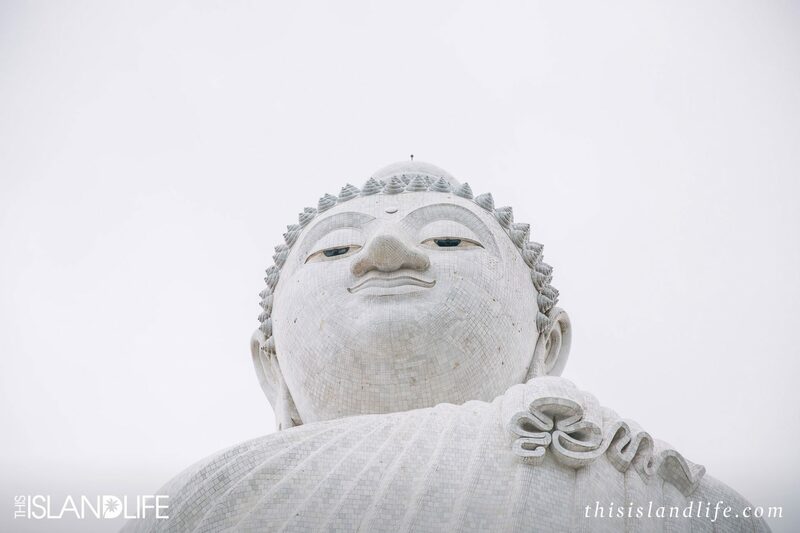 No trip to Phuket is complete without paying a visit to the magnificent Big Buddha. It’s hard to tell just how big it is from the photos, but it’s a 45-metre-tall white marble statue, that sits on top of the highest peak of the Nakkerd Hills in Ao Chalong. You can see the Big Buddha perched up there from most of the southern side of Phuket – it’s like he’s watching over the island. 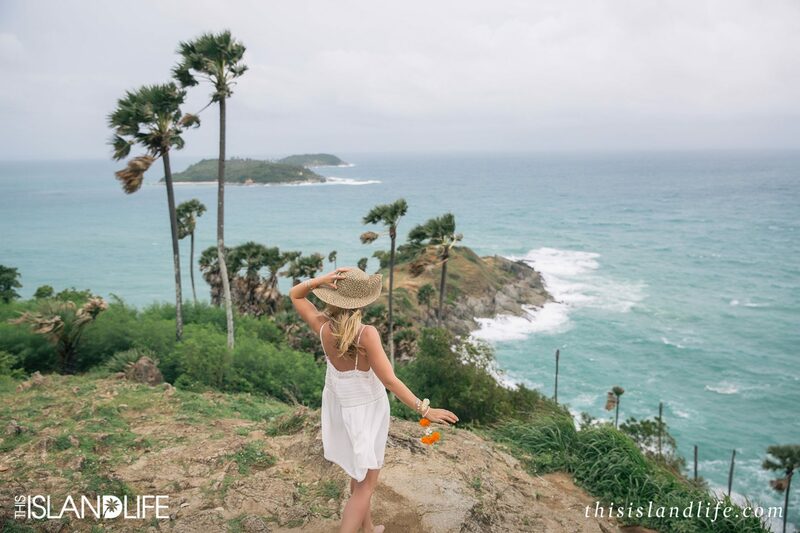 Promthep Cape is the most visited (and photographed) viewpoint on the island. Even in cloudy, overcast weather it looks spectacular. It’s famous for the sunset, so be prepared for the crowds. Every evening tour buses and scooters make their way to the peak to watch the sun light up the sky as it goes down over the ocean. With Phuket International Airport being Thailand’s third busiest airport, you can have your pick of airlines. Details here. Cameras: Canon EOS 5D Mark III and Canon EOS 70D. Lenses: Canon EF 24-70mm f/2.8L II USM and Canon EF 50mm f/1.4 USM and Canon EF-S 10-18mm f/4.5-5.6 IS STM. Underwater housing: GoPro HERO4 Silver with KNEKT Dome Port and Trigger Pole. 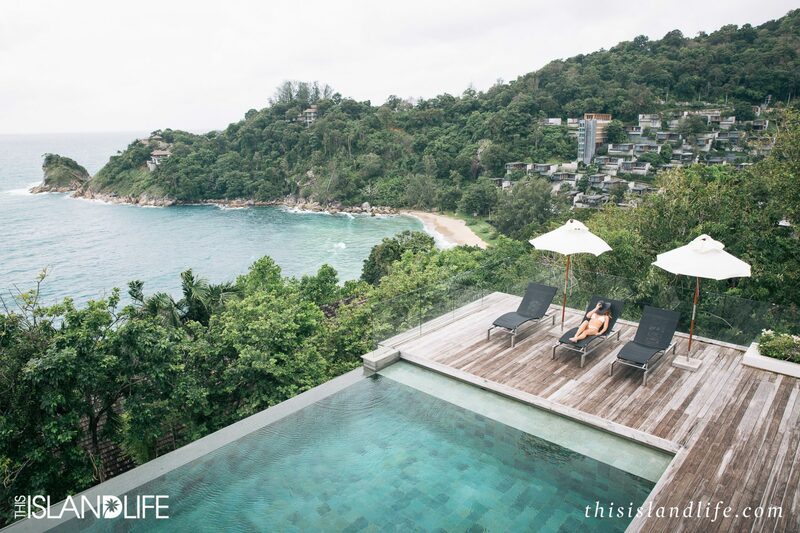 I travelled to Thailand as a guest of Villa Getaways. All opinions and thoughts expressed in this post are my own and remain 100% uninfluenced.